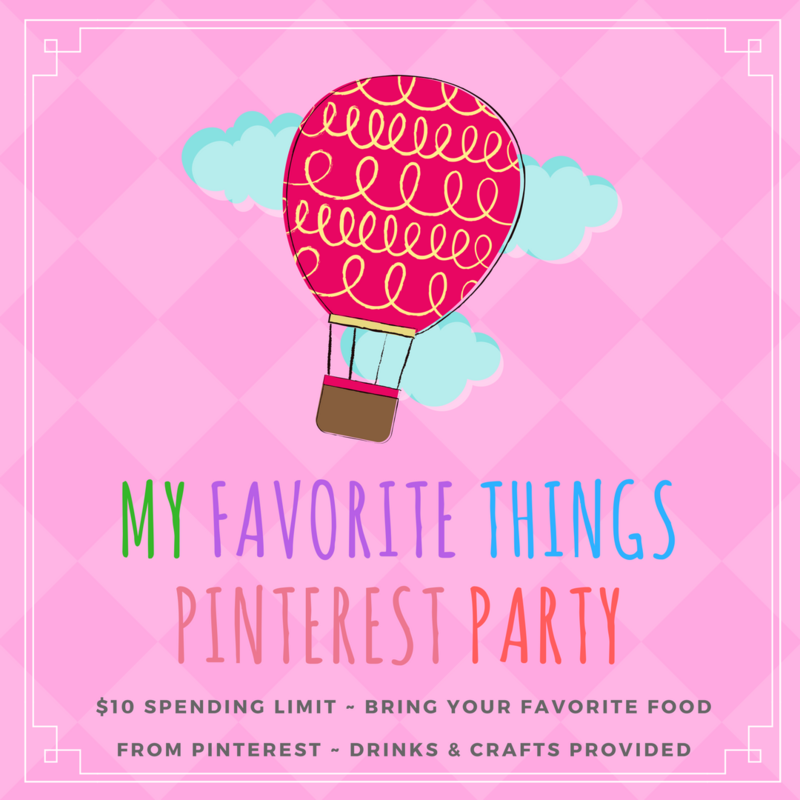 Nite Owl Creates: May Pinterest Party Theme Announced! I feel like this party might need a little explaining because it's slightly different than any I have attempted in the past. This theme will be the same for both California and Utah parties. Thinking of themes for the monthly Pinterest parties can be fun and at times, a little challenging. I don't mind keeping most months the same theme (yes the cactus & succulents party as well as the camping and s'mores party are both likely happening again!) but when it's always fun to switch it up a bit too and I've been wanting to do a favorite things party for awhile and incorporate it with a Pinterest party. There are various ways a favorite things party can happen but here's how I plan to do it. Bring 1 wrapped gift. $10 spending limit. Can be various small items or one main item. At the party you will be given a number and all gifts will be numbered as well. Bring your favorite food from Pinterest (or a craft for everyone to make if you prefer). We will eat and craft as usual and then towards the end of the night, or maybe the middle...we will swap gifts / you will take the gift whose number you were given when you arrived. It'd be nice to open while we are all together and have each person share why they picked the gift they chose to bring. How about that? Sound so fun? I dont want to overwhelm anyone so I hope everyone who wants to come will be okay with this theme and thought it would be a cool way to get to know people better. Let me know if you have any questions and as usual, if you'd like to bring a craft for everyone to make, let me know because I might just have the supplies you need and am totally willing to donate them towards the party.